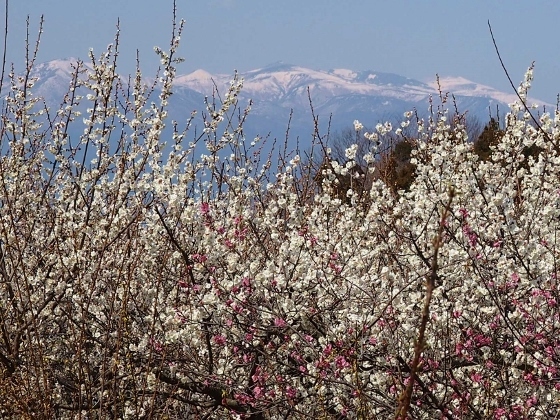 A man in Fukushima City called me that he and his friends wanted to visit Umenosato, where over 10,000 ume trees are grown on a large farmland at Nishitamachi, Koriyama City. I volunteered to guide them at the site. 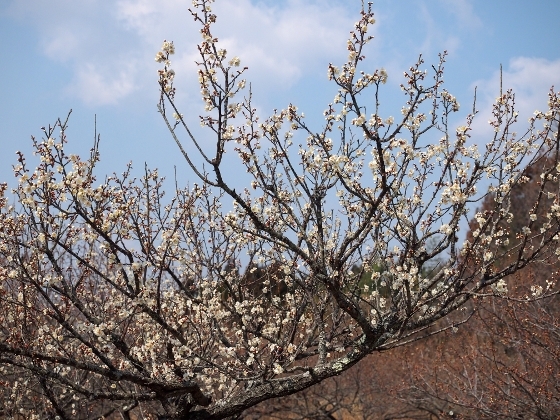 Ume blossoms have just started, which means full bloom is expected to be about a week later. But some trees already had full-fledged flowers on their branches ahead of other neighboring trees as shown above. Last year in 2016, Umenosato already had full bloom of ume blossoms on Mar. 22 as shown below. This means that this year is about a week behind. 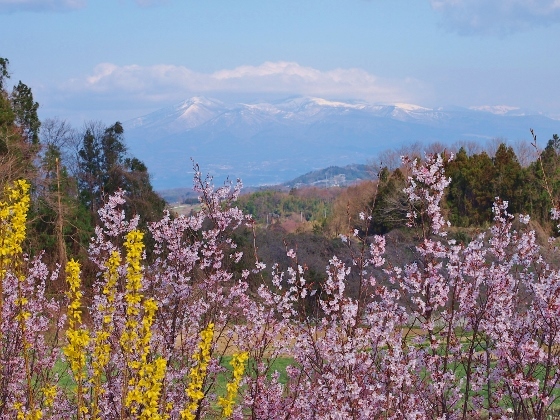 Umenosato also has many cherry trees and forsythias, which will bloom in mid-April. Photo below shows such scenery as of April 11, 2014. Umenosato is located in a remote suburb of Koriyama City. The nearest station is JR Miharu Sta. But Takashiba Dekoyashiki, which is a popular attraction site of small village of papier-mache workshops, is nearby. An excellent old house restaurant, el TAPADO, is also in the vicinity, which serves delicious Italian dishes full of fresh-out-of-the-garden vegetables. 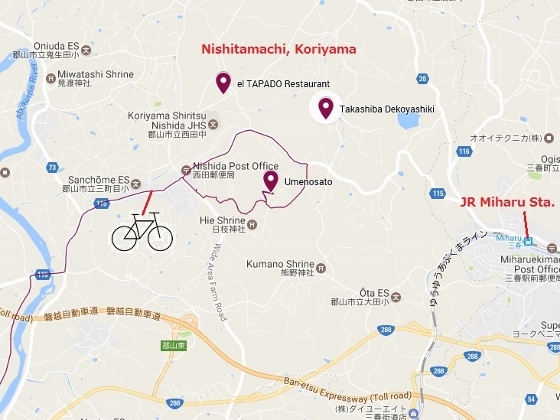 It’s a nice idea to visit all of these in Nishitamachi at once, which we did today (although they are not included in GPS trace on the map below).